Fans of the hit HBO show will be happy to hear that Warner Bros. Pictures has just released a brand new trailer for the upcoming Entourage movie. You can check it out below. The movie brings back unforgettable movie star, Vincent Chase (Adrian Grenier), and his three best buddies, Eric (Kevin Connolly), Turtle (Jerry Ferrara), and Johnny (Kevin Dillon), as well as his agent Ari Gold (Jeremy Piven). You can expect Chase and the boys to be as shameless and ruthless as ever as they make their way through the endless drama and fake faces of Hollywood and the film industry in Los Angeles. The big-screen adaptation of the hit HBO series was written and directed by the show’s creator Doug Ellin. The film was produced by Mark Wahlberg (who’s life the Entourage show was loosely based on), Stephen Levinson, and Ellin. 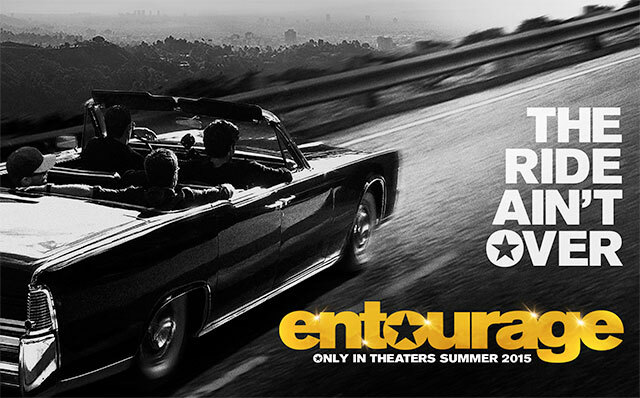 You can expect to be seeing it the Entourage movie in theatres on June 5, 2015. If you haven’t seen the wildly popular Entourage television series you can find all the seasons on iTunes in Australia, Germany, USA, UK, Canada, and France, and on Vudu in the USA. If you can’t access this show from your region, simply use the proxy provider below and watch Entourage online from anywhere in the world. If you’re trying to watch the show from iTunes click here.